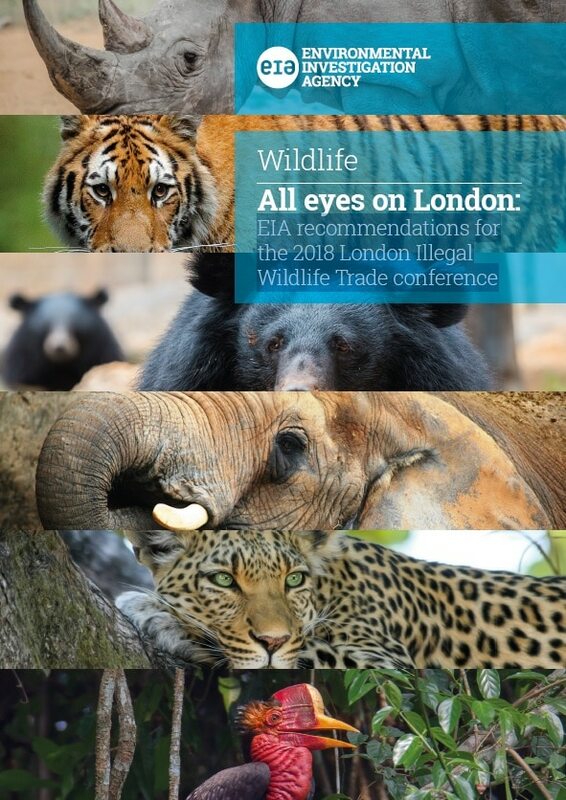 This week, London hosts the fourth international Conference on Illegal Wildlife Trade. Attended by heads and representatives of governments from around the world, the event from 11-12 October in Battersea Park will review progress made on the actions agreed as part of 2014’s London Declaration. The landmark London Conference in February 2014 brought together international parties to discuss the rise in the illicit trade in wildlife and its negative social, environmental and economic impacts. Subsequent conferences were held in Botswana and Vietnam. For more than three decades, we have been at the forefront of calls for transnational wildlife crime to be properly recognised and addressed; our expert campaigners have also provided inputs for all three previous conferences, as well as evaluating progress made by various countries. Ahead of the conference, we have prepared and published a new report, All Eyes on London. This report makes the case that the basic legislation and institutional framework to combat wildlife crime already exists but critical gaps remain in the response of key source, transit and destination governments. It also lays out our recommendations for participating nations and urges rapid high-level commitment to real action. In addition, our Forests Campaigns Leader Faith Doherty will be taking part in a panel on Thursday to discuss how the lessons learnt from exposing transnational forest crime such as illegal logging can be applied to illegal wildlife trade. We will also be hosting a stand at the conference about the big cat trade, showing a map of how consumers are accessing big cat products, why big cats are killed for trade and our recommendations.